In 1996 I got a call from my old friend, Brooks Kubik. Brooks and I go way back. 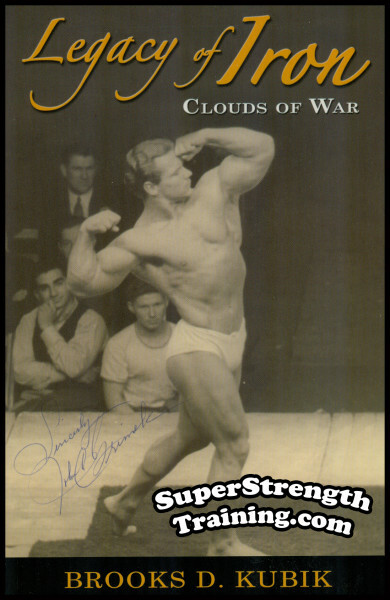 As a matter of fact, I sold weight training books to him when he was a teenager. 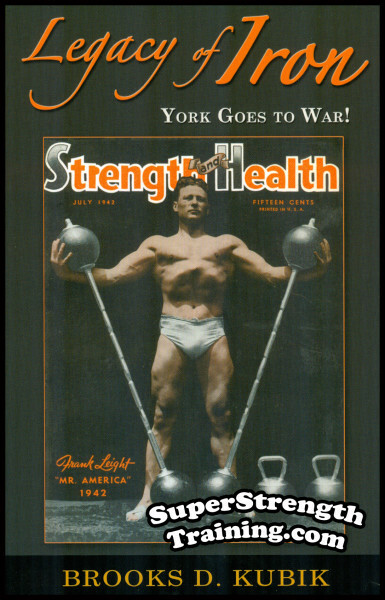 Now I knew Brooks was a serious, no nonsense, lifter as could be seen through his magazine articles. But, gee, what else could he possibly relate that isn’t already out there? I told him I’d edit it and make some suggestions. Well, I got the manuscript a few days later in a big envelope. Sure enough, there had to be 450 pages, typed and double spaced. I read the first chapter…hmmm…another chapter…whoa…I thought, this is really good! I wanted to continue on but was called out. The next day I finished the book, non stop. “How many should I print…500?”, he asked. “No, not that many…a thousand, no make that two thousand! Print as many as you can, everyone will want a copy!”, I said. “You really think it’s that good?” he asked, once again. 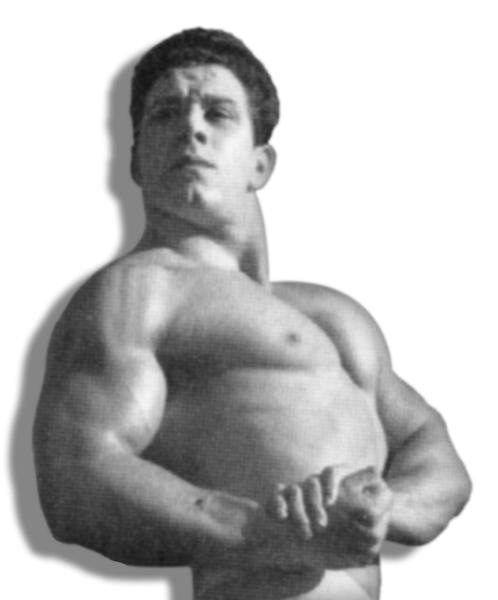 That is how a champion high school wrestler and 5 time National Bench Press Champion revolutionized how the average “cellar dweller” or “garage gorilla” looks at weightlifting for strength. But then, I should know, I wrote the introduction. 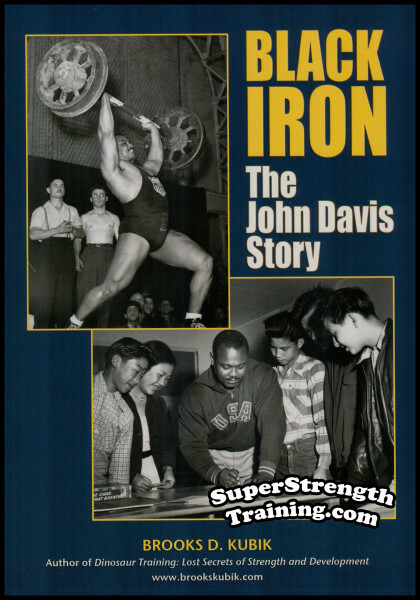 New and destined to be one of the most talked about books ever written for the weight training world! 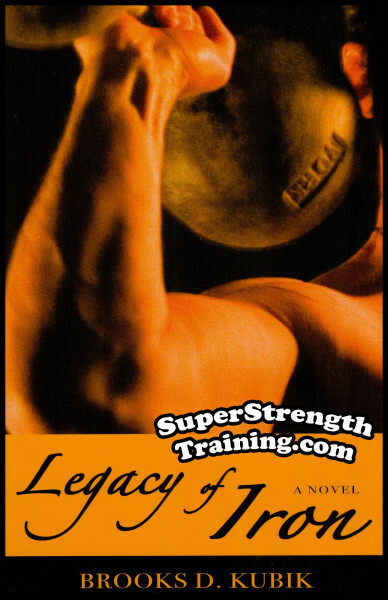 Written by a man who has studied serious strength training his entire lifetime! 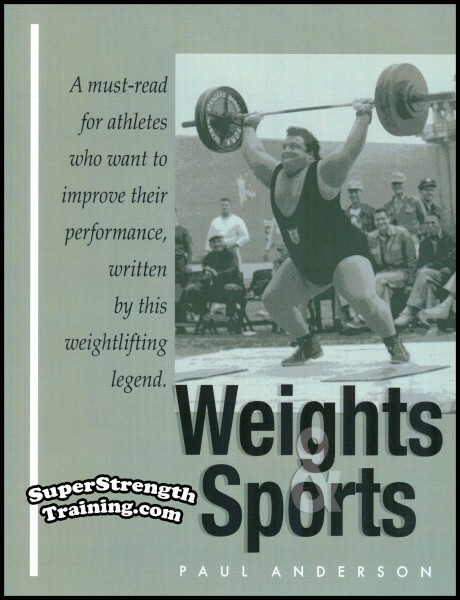 Finally, a weight training book that focuses on real world strength training. 1. The Dinosaur Alternative – Getting caught up in the modern day training methods and why they won’t work. 2. 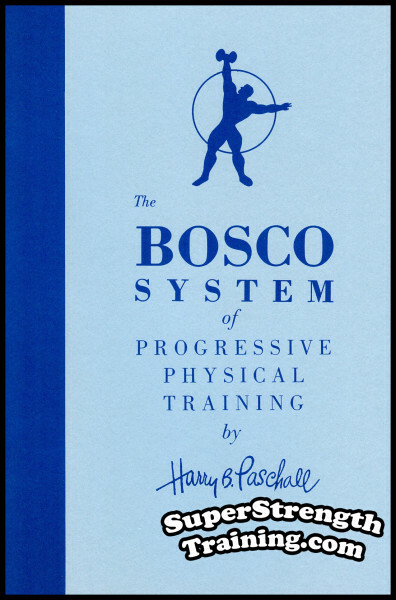 Productive Training – Learn about training that works, why it works. 3. 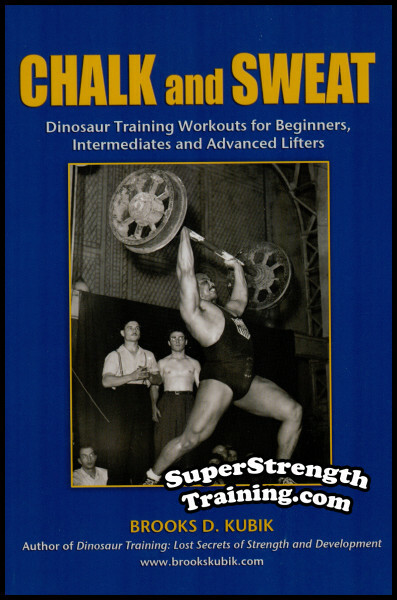 An Outline of Dinosaur Training – 12 key elements that should be the core of every strength training program. 4. Hard Work – What hard work is, examples of hard work, and the amazing results that you can expect from it. 5. 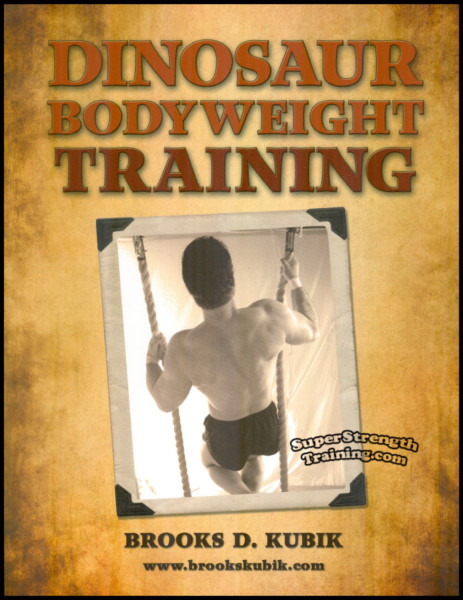 Dinosaur Exercises – Let’s get back to basic exercises without all the fancy fanfare. 6. Abbreviated Training – Be well aware of the dangers of too much and too often. 7. 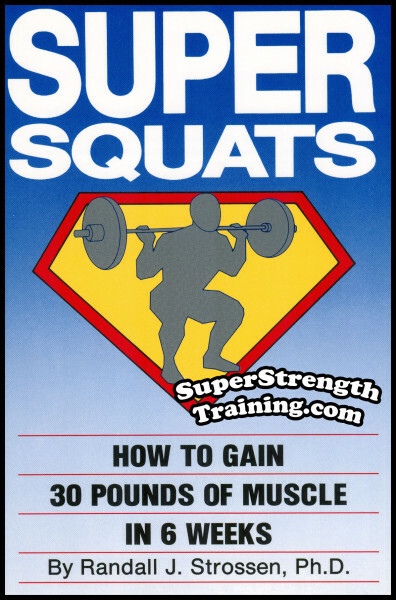 Heavy Weights – Just how heavy is heavy and how to measure it. 8. 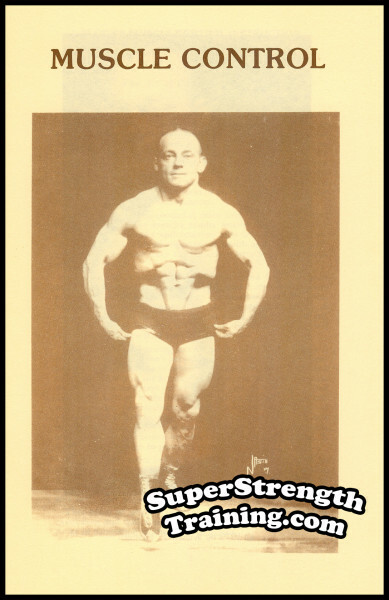 Poundage Progression – The short and long term goals for beginners, intermediates and advanced trainees. 9. 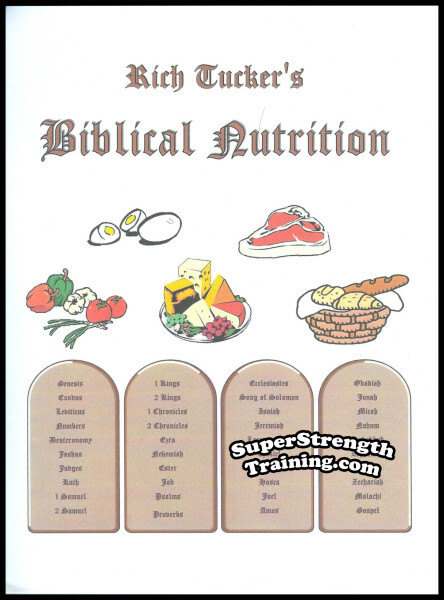 Death Sets – Train until you picture a skull and cross bones in your mind! 10. 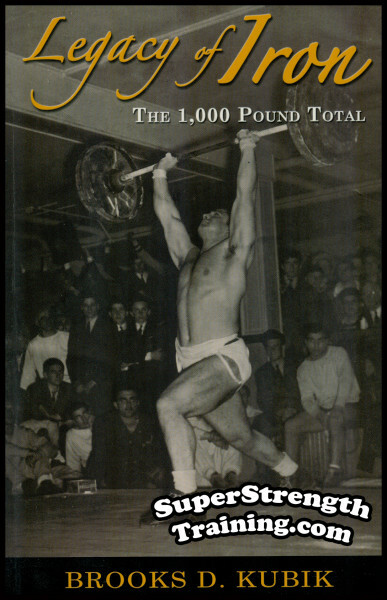 Multiple Sets of Low Reps – Commentary on its’ value by Bob Hoffman, Arthur Saxon and George Hackenschmidt. 11. 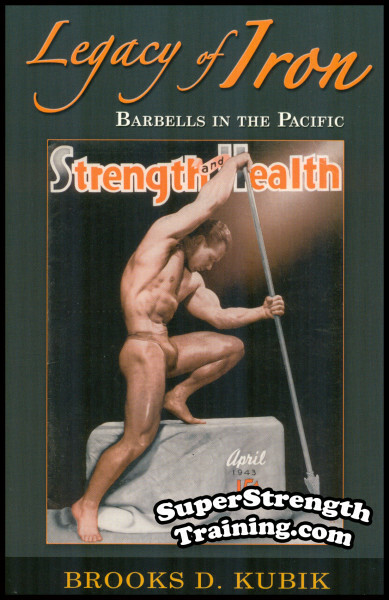 Singles – Long lasting results are achieved by using one rep at a time. 12. 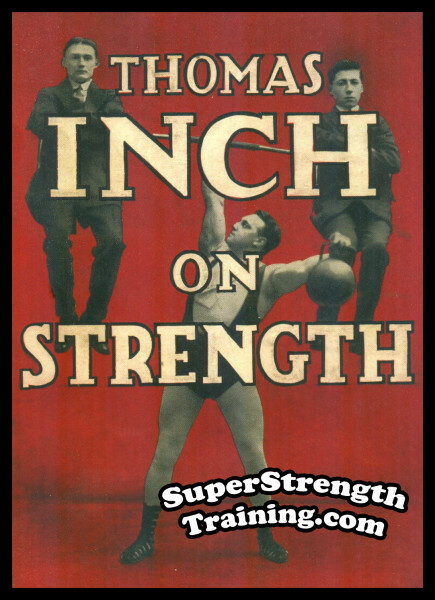 Thick Bars – The return of thick bars and they are absolutely essential for a powerful grip and huge forearms. 13. 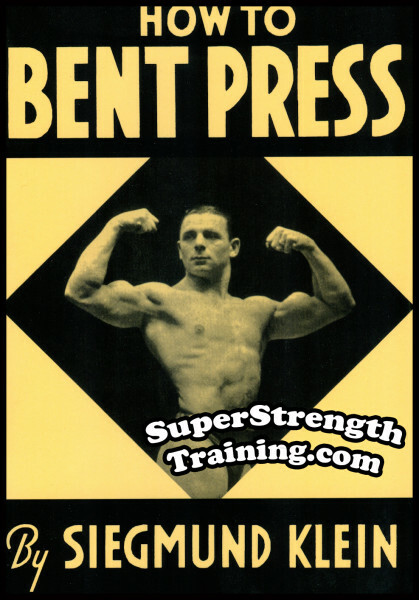 Grip Work, Part One – The value of grip work in sports such as football, the martial arts, wrestling, etc., and examples of the best grip developing exercises on the planet. 14. Grip Work, Part Two – Advanced grip exercises designed for those who want to really specialize on a bone crushing grip. 15. 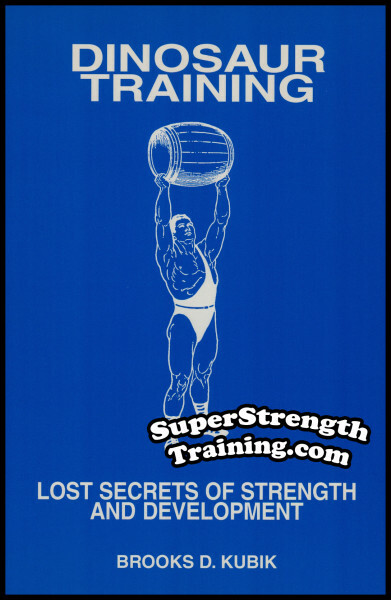 Logs, Barrels and Heavy Bags – Whatever happened to lifting whatever heavy objects are available? 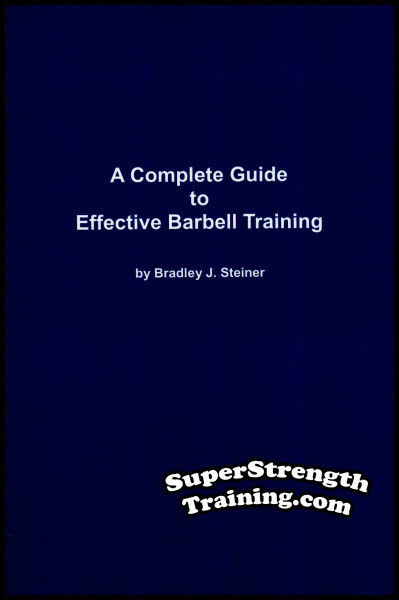 Check out this chapter on odd object lifting. 16. 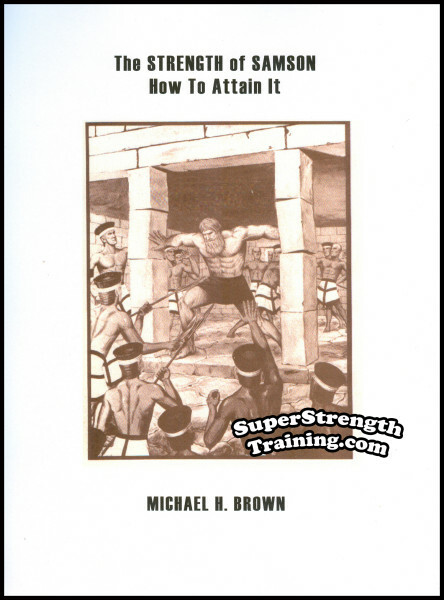 Power Rack Training – Ahhh…the power rack! 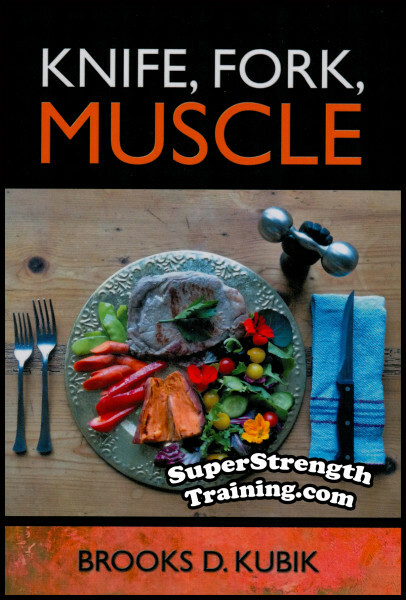 The meat and potatoes of every strongman’s training regimen. 17. 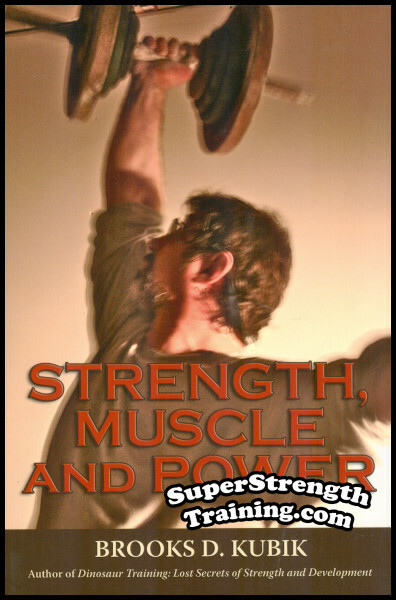 A Basic Strength Training Program – Example training routines and exercises are given for four different training sessions. 18. Keep It Simple! 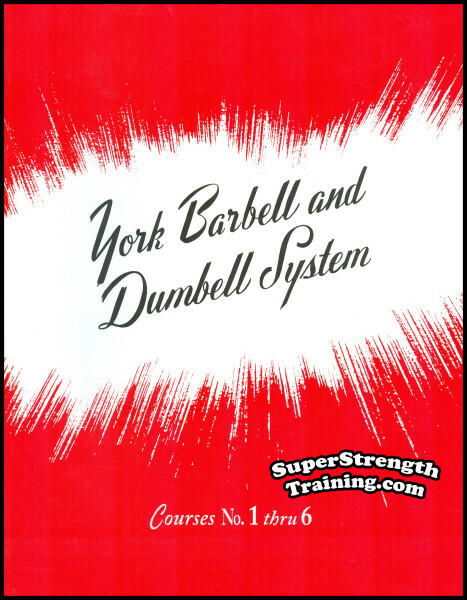 – So simple even this two day training routine will reap huge dividends. 19. Concentrate! – The mind over matter approach to success never fails. 20. More on the Mental Aspects of Training – Learn to develop a burning desire coupled with visualization and auto suggestion. 21. Do It For Yourself – Don’t make excuses, make promises to yourself that you will succeed in your training. 22. Persistence – The virtue that pays huge dividends. 23. 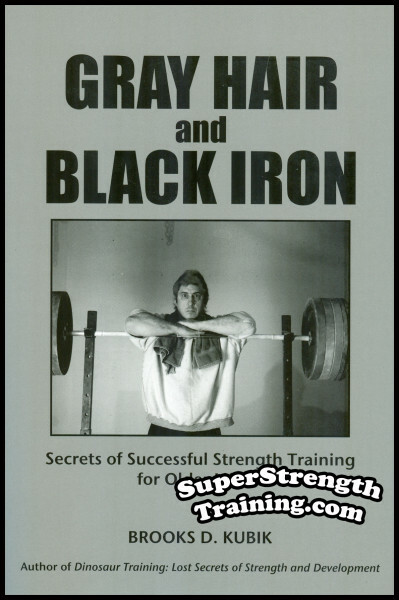 The Iron Will to Succeed – How to keep coming back again, again and again. 24. Fads, Fallacies and Pitfalls – Learn to look beyond that latest craze to find solid training information. 25. Just Do It! – Above all else, stop reading about it, talking about or thinking about it…just do it. 26. No Excuses – There are excuses for all occasions. No one believes any of them, so why waste your time. 27. Exceed Your Expectations – Set the bar high and surprise yourself. 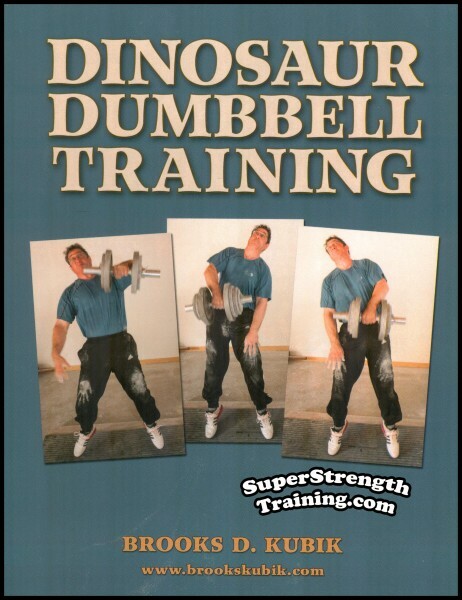 “Hi Bill, Man am I enjoying the book you recommended, ‘Dinosaur Training.’ At about page 50 my attitude came back…feeling strong & powerful both physically and mentally. Somewhere I lost the attitude but I’m glad its back! A 5 1/2 x 8 1/2 softcover book with over 224 pages and 27 chapters! Order your copy of Brooks Kubik’s best selling book today!